Have you ever thought what it might be like to meet yourself? How we see ourselves can be an eye-opening experience, especially if what we observe doesn’t match our expectations. What we encounter could be significantly different from what we believe about our being, our attitudes and our behavior. But, on closer inspection, we may be surprised to see that it’s exactly who we are at our core, a scenario that gives us much to assess, some of which could be at odds with who we’d like to think we are. Such is the case for a seemingly average American family in the revelatory new smart horror release, “Us” (web site, trailer). It’s summertime, and the Wilson family is ready for their annual trip to their vacation home near Santa Cruz, California. Parents Adelaide (Lupita Nyong’o) and Gabe (Winston Duke), along with their children, Zora (Shahadi Wright Joseph) and Jason (Evan Alex), look forward to their getaway, but there’s an undercurrent of uneasiness underlying the trip, especially for Adelaide. Gabe does his best to allay his wife’s anxiety, but she quietly continues to harbor her apprehension. Adelaide is particularly concerned about the family’s planned daytrip to the beach. It’s a popular tourist destination with an adjacent boardwalk and amusement park. With so much to do, it’s the kind of place that should make for a good time, but Adelaide is full of trepidation about the outing because of an experience that happened to her there when she was a child. It was a traumatic incident that she’s kept mum about all these years, but, when Gabe presses her about her hesitation, she finally opens up. What should be an enjoyable summertime vacation turns contentious when the Wilson family (from left, Lupita Nyong’o, Evan Alex, Shahadi Wright Joseph, Winston Duke) receives a visit from unexpected “guests” in director Jordan Peele’s latest offering, “Us.” Photo by Claudette Barius, courtesy of Universal Pictures. On a warm summer night in 1986, a young Adelaide (Madison Curry) visited the amusement park with her parents, Russel (Yahya Abdul-Mateen II) and Rayne (Anna Diop). At one point while her parents weren’t looking, the youngster inexplicably wandered off, walking into a funhouse with a Native American vision quest theme, one that challenges visitors to “discover yourself.” As she made her way through the structure’s dark and mysterious corridors, she came upon the kinds of elements typically found in these attractions, such as animated figures that pop out of the walls. Needless to say, these features startled the young visitor, but Adelaide’s biggest frights were yet to come. While walking through the funhouse’s hall of mirrors, Adelaide saw something in the looking glass that took her by surprise – an image of what appeared to be herself with her back turned toward her. But then, quite unexpectedly, the figure turned to face her with bulging eyes and a sinister grin beaming from ear to ear. 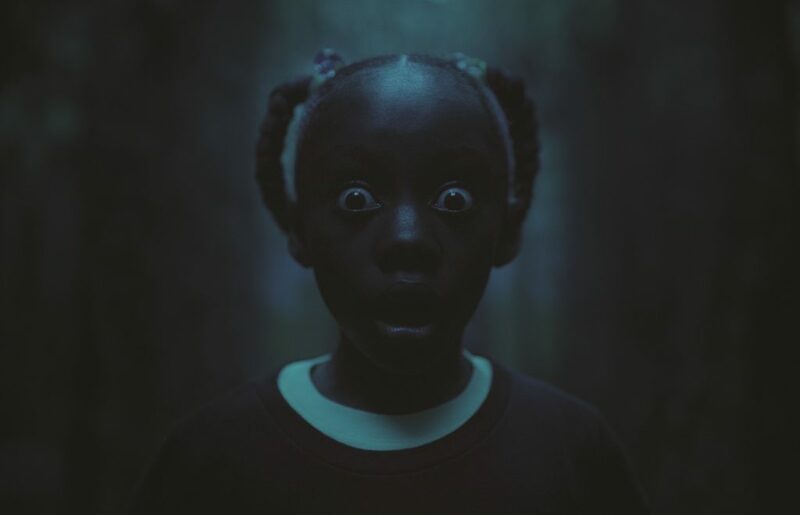 When faced with an unexpected terrifying situation in an amusement park funhouse, young Adelaide Wilson (Madison Curry) reacts in fright to what she sees in director Jordan Peele’s “Us.” Photo courtesy of Universal Pictures. Adelaide was so stunned by what she saw that she withdrew and stopped talking. Her parents took her to a therapist (Napiera Groves), hoping that counseling would draw out what happened and set her on a course of recovery. And, thanks to her development of an interest in dancing, an adolescent Adelaide (Ashley Mckoy) emerged from her isolation. But, even with the passage of time, the experience still haunts the now-adult Adelaide all these years later. Gabe is stunned that Adelaide has kept everything locked up inside for so long, but, having now shared the experience, she seems moderately relieved. Consequently, to keep peace in the family, she agrees to go on the outing despite being on guard the whole time. She’s constantly on the lookout for anything unusual, and she has trouble relaxing, even while spending time in the company of her good friends Kitty (Elisabeth Moss) and Josh (Tim Heidecker) and their two daughters (Cali Sheldon, Noelle Sheldon). But, when the time comes to leave, she’s only too happy to pack up and go home. Once back at the vacation house, though, things take a rather weird turn. First the power goes out. And then, lurking in the dark, Adelaide notices a family of four standing in the driveway, one whose members bear an uncanny resemblance to the Wilsons. They stand silently arm in arm dressed in red jumpsuits, each holding what appears to be some kind of pointed golden implement. 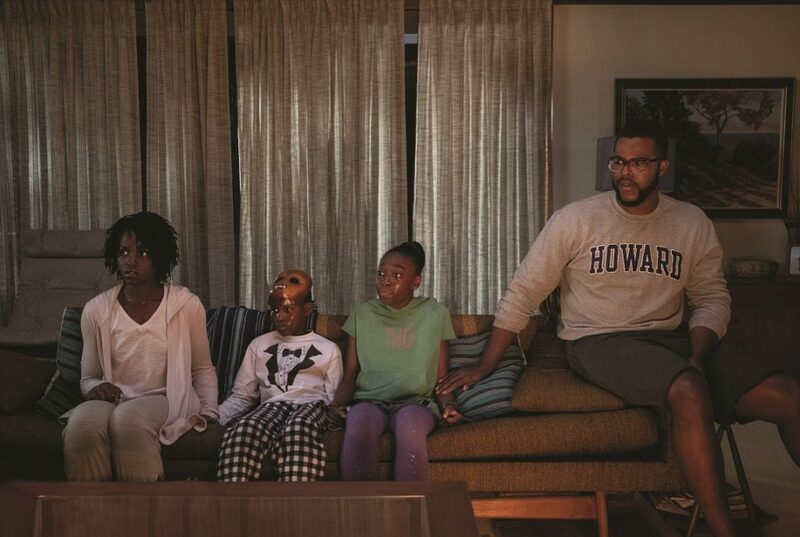 The unexpected appearance of a creepy-looking family (from left, Evan Alex, Winston Duke, Lupita Nyong’o, Shahadi Wright Joseph) places a damper on a summer vacation in the superb new smart horror release, “Us.” Photo by Claudette Barius, courtesy of Universal Pictures. Gabe doesn’t think much of it and makes a friendly attempt to see what they want. But, when he finds out these apparent doppelgangers are anything but cordial, the situation turns contentious. The “copies” of Adelaide, Gabe, Zora and Jason, who respectively call themselves Red, Abraham, Umbrae and Pluto, break into the house and begin terrorizing the inhabitants, all for no apparent reason and without making any specific demands – that is, until Red begins to speak, informing her hostages who they are and what they want. To say more would reveal too much, but suffice it to say that the Wilsons are not the only ones being confronted by their doubles. Everyone, it seems, is being met by their alternate selves. These duplicate beings bring a reign of terror to the world, emerging en masse from what appear to be subterranean tunnels whose existence was virtually unknown by the public at large. Most violently attack their surface world counterparts, while those who don’t join in the barbarism hold hands to form a human chain across the landscape (a gesture eerily reminiscent of the Hands Across America initiative organized to raise awareness about the homeless in the summer of 1986, the time when Adelaide had her traumatic amusement park experience). But to what end is all of this transpiring? That’s what the Wilsons – and the rest of the world – are about to find out. And the answer will prove quite surprising, to both those on and off the screen. 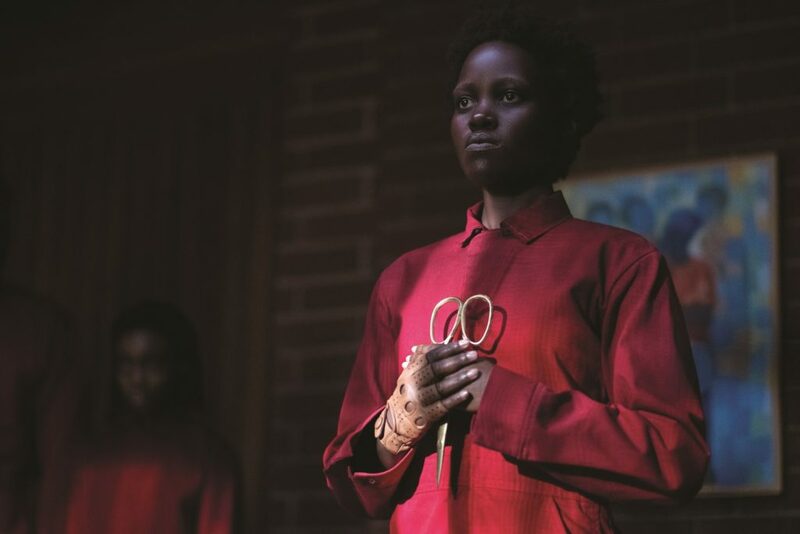 “Red” (Lupita Nyong’o), the enigmatic doppelganger of a middle-aged housewife, makes life hell for her counterpart and her family in director Jordan Peele’s “Us.” Photo by Claudette Barius, courtesy of Universal Pictures. While many viewers are likely to have similar takes on what they see, there will no doubt be instances where individual audience members come up with interpretations all their own. But that’s okay, considering the ample fodder that the filmmaker gives us to work with. So what I offer here are my thoughts on what this picture is saying. And, in doing so, as I noted above, I’ll make an especially concerted effort to share my views without revealing any spoilers in the process. The idea of a doppelganger is an intriguing one, a notion that has found its way into an array of subjects, ranging from mysticism and mythology to contemporary psychology. Given this level of pervasiveness, it would seem there must be something to it. But how many of us pay any real attention to it? We tend to ignore the concept until we find ourselves staring it in the face. Then what? 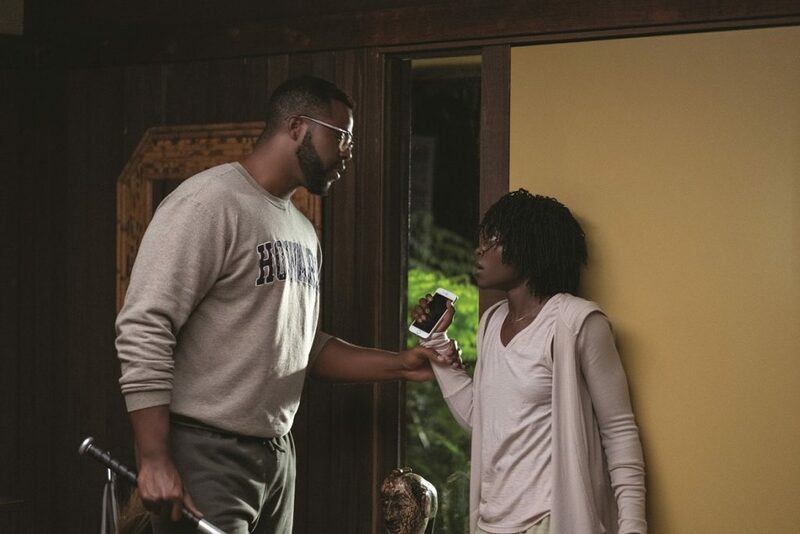 The unexpected arrival of mysterious visitors causes stress for middle-aged housewife Adelaide Wilson (Lupita Nyong’o, right) and her husband, Gabe (Winston Duke, left), in “Us.” Photo by Claudette Barius, courtesy of Universal Pictures. As a general rule, when we come face to face with a manifestation of our personal selves, our first question is usually to ask why it has materialized. What does it want? Is it trying to tell us something? And why now? Those are the questions on the minds of Adelaide and her family when their doubles first appear, and they find the experience frustrating due to the lack of ready answers. I think it’s a safe bet many of us would have comparable reactions. But, where the Wilsons are concerned, this becomes a bigger problem when their unexpected visitors start lashing out at them in violent and hostile ways. Considering where the doubles are said to have originated, though, the answers might come a little more easily. 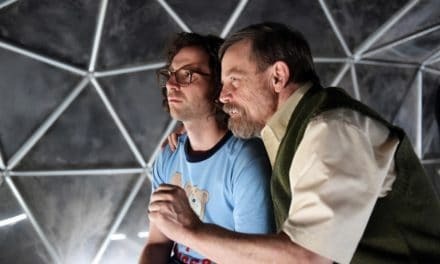 Having emerged from a complex of underground tunnels into the light of the world aboveground, the doppelgangers are in many ways symbolic of our shadow selves, that little-seen part of our being that resides within the darkness inside us. It’s a portion of our being that’s largely ignored, if not summarily disparaged, looked upon as inherently inferior, perhaps even evil. It’s something most of us would much more readily disavow than acknowledge. However, as much as we might try to deny this portion of our self, it’s nevertheless part of who we are. And, because of this, imagine how we would feel if we were to walk in its shoes. The lack of recognition and blanket rejection must be utterly unbearable. Given that, then, is it any wonder that the shadow self might eventually rise up and rebel, demanding to share in the same blessings we have come to enjoy from living life in the light? Of course, having spent its entire existence in the murky depths, is it also any wonder that our shadow might not know how to properly (i.e., civilly) seek equitable treatment? That would explain the barbarous behavior, now wouldn’t it? 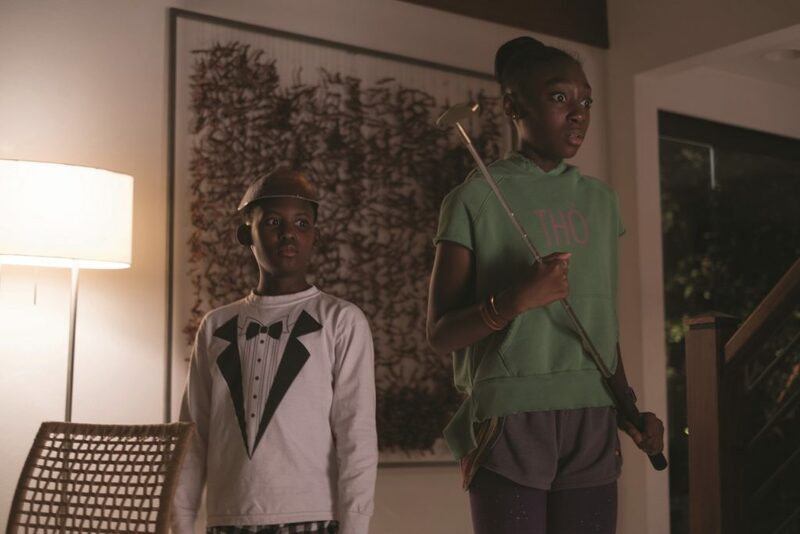 Siblings Jason (Evan Alex, left) and Zora (Shahadi Wright Joseph, right) are forced to grow up a lot faster than they had probably imagined when faced with tremendous horrors in the gripping new offering, “Us.” Photo by Claudette Barius, courtesy of Universal Pictures. If it’s possible to envision how this would work for an individual, imagine the same for a collective of similarly situated beings. This would account for the film’s mass uprising. But, speaking symbolically once again, this is an allegory for the outcasts of contemporary society – women, minorities, immigrants, the economically disadvantaged – everyone who has been denied the opportunity to revel in the bounty that comes from the abundance afforded by “life on the surface,” the benefits enjoyed by those who reside above those literally and figuratively relegated to the underworld. What’s even more telling in this scenario is the shoddy treatment the surface dwellers afford their below-ground counterparts. Those who live in the world below are dismissed, treated as if they don’t exist, a circumstance that can be applied both to our individual selves as well as society as a whole. And, sadly, this is “us,” a realization that makes the picture’s title fittingly chilling in light of its narrative and genre. Considering that indifferent, condescending attitude, it’s not too difficult to figure out what it would take to get the attention of those who hold it. And those who demand their share of the pie may not be as gracious in seeking it as those living in the light might think they should be (the one-percenters might want to take note of this). But, then, such a reaction is not unexpected when we have no consideration for the consequences of our attitudes and actions, one often fraught with unintended and undesirable side effects. In this case, the resulting situation calls to mind a Biblical passage that’s prominently featured in the film literally, figuratively and symbolically, the text of Jeremiah 11:11: “Therefore thus saith the Lord: ‘Behold, I will bring evil upon them, which they shall not be able to escape; and though they shall cry unto Me, I will not hearken unto them.’” A prophecy is fulfilled, one as reflective of the notions held by its adherents as anything seen in the funhouse hall of mirrors. 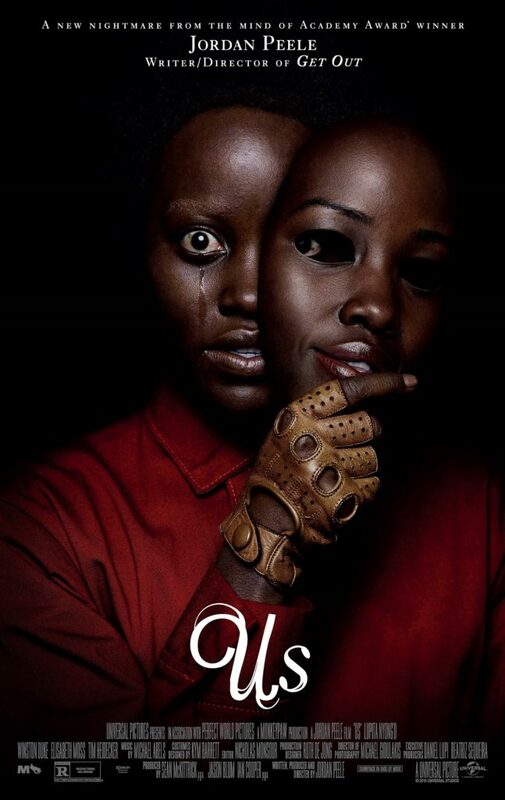 When middle-aged housewife Adelaide Wilson (Lupita Nyong’o, right) confronts her dubious double, Red (Lupita Nyong’o, left), the encounter quickly turns into a fight for survival in the gripping new smart horror offering, “Us.” Photo by Industrial Light & Magic, courtesy of Universal Pictures. Admittedly, the foregoing is a lot to absorb, but, in actuality, it’s only part of the story. There’s potentially much more one can take away from this film. I could say more, but I’d be straying too close to the spoiler territory I endeavor to avoid. So my recommendation is to watch this one for yourself and see what you get out of it. Personally, I can’t wait to screen it again to see what I may have missed the first time. This richly layered, deftly nuanced smart horror offering tells a tale that gives the audience much to think about upon leaving the theater. Director Peele’s second feature defies “the sophomore jinx” that often plagues filmmakers who fail in their followup efforts after impressive debuts. The picture delivers an expertly crafted allegorical story that’s captivating and insightful, accompanied by great laughs and a few good scares without becoming gratuitous. This is all made possible by the superb performances of its excellent ensemble cast, most notably Nyong’o, who turns in some of her best on-screen work in this offering. And, as you watch it, take nothing for granted; everything has a purpose in the narrative, no matter how seemingly insignificant. As good as his first picture, “Get Out” (2017), was, the filmmaker has taken a quantum leap in his artistry and storytelling skills with this release, an accomplishment that puts him in a class by himself and will likely allow him to write his own ticket from here on out. When we come face to face with ourselves, we’re forced into confronting what we see. No matter how much we might try to deny or disavow what we witness, though, we can’t realistically do so if we truly want to understand who we are at the center of our being. And, if we dislike what’s there, then we must take an earnest look at how it arose, analyzing and, if needed, changing the thoughts, beliefs and intents that gave life to it. After all, when we come right down to it, that’s us – whether we like it or not. It’s been said that one catches more flies with honey than with dung. While that may be true in many circumstances, it can be a tricky practice in political circles. If nothing else, though, it can make a statement, regardless of whether its objectives are met. So it was with an unconventional but fearless nonviolent activist fighting for change in his beleaguered homeland, the subject of the compelling new documentary DVD release, “Little Gandhi” (web site, trailer). Peaceful protest has often inspired activists to seek change in political regimes in dire need of it. In 2011, with the Arab Spring movement sweeping across the Middle East from Tunisia to Libya to Egypt, the initiative soon made its way to Syria, home of the Bashar al-Asaad regime, one of the world’s most brutal dictatorships. Continuing horrific practices initiated by his father as far back as the 1980s, Asaad ruled with unquestioned authority, relentlessly doling out punishment without regard for the welfare of the nation’s citizens. Such atrocities, combined with a corruption-riddled administration, signaled that this was a situation long ripe for change. Under conditions like this, there was a natural tendency among many activists to want to lash out in anger. But one of those who stepped to the fore to encourage a different path was Ghiath Matar. Rather than combating the Syrian government forces ordered to put down opposition, Matar suggested an inspired alternative – making their voices heard but treating the troops with kindness and courtesy, offering them flowers and bottled water as gestures of goodwill. Why such an unconventional strategy? Matar believed that distributing flowers and water would defuse the situation before it escalated out of control. According to his colleagues, Matar saw flowers as a symbol of life, something he wanted to affirm through his protests and convey to his opponents. He was convinced that such gestures of peace would help undermine the plans of those ready to engage in violence. To Matar, giving flowers and water to the security forces was also a way of showing them that the protestors did not believe the troops were the enemy, that they were all Syrian brothers and that (one would hope) brothers would not fire on brothers. When protests in Matar’s home town of Daraya began in March 2011, the activists followed through on their plan. The flowers were seen as kind offerings, and the bottled water was much appreciated among soldiers on duty in the desert heat. These gestures and the troops’ responses took authorities by surprise, so much so that they scrambled to come up with a strategy to regain control over their forces. They even went so far as to try and convince the soldiers that the activists had poisoned the water, a ruse that fell apart when the protestors opened the bottles and began drinking from them. Matar’s plan proved successful, revealing him to be someone wise far beyond his 26 years. Matar’s initiatives were not without precedent. Nonviolent protest was a standard practice in the 1960s American civil rights movement led by Dr. Martin Luther King Jr. and his followers. And the distribution of flowers was a favorite placating tactic employed by Vietnam Era protestors, who frequently dispensed blooms to National Guard troops called upon to keep the peace at antiwar rallies. But measures such as these were perhaps most readily associated with Indian peacemaker Mohandas Gandhi, who made use of them in helping his nation earn independence from the British Empire in the 1940s. In fact, it was his legendary efforts that inspired the nickname attributed to Matar, Little Gandhi. With the assistance of such fellow protestors as Najlaa Alsheikh, Osama Abu Zayd, Motaz Morad, Ghiath Shurbaji, Muhammad Shihadeh, Shafeek Abdulaziz, Muhanad Abu Alzen, Rana, Mohammed Namous and Hassan Abo-Kinan, Matar quickly developed a formidable peaceful opposition network. His hope was that its efforts would raise awareness for the cause, one aimed at ousting Asaad without the nation erupting in what he believed could be a bloody civil war. He and his followers were treading on shaky ground, but they persisted in their efforts nevertheless. They were convinced that now was the time for a regime change; they believed they had the momentum on their side as the Arab Spring movement made considerable headway throughout the region, leading to such huge accomplishments as the toppling of long-time Egyptian president Hosni Mubarek, a leader whose corrupt administration had held power for decades. Matar’s efforts didn’t go unnoticed by authorities, however. He was constantly threatened by officials, forcing him to stay mobile, often having to seek refuge in farmland hideouts in the areas surrounding Daraya. This wasn’t easy for a newlywed husband and father-to-be, but he did what it took to stay out of sight while planning his next protest. However, when Matar and fellow protestor Yahya Shurbaji were arrested, circumstances took a drastic turn. Not long after his capture, Matar was tortured and killed. International outrage erupted when word of his death spread far and wide. Foreign leaders condemned this horrendous act, with the ambassadors of many Western nations, including U.S. Ambassador Robert Ford, defiantly attending his funeral. Unfortunately, with Matar’s death, what he feared the most came to pass – a protracted and bloody civil war, one that left his home town in shambles. In fact, as the film sadly shows, the fighting continued years after the conflict began. This becomes apparent during war zone interviews with activists Motaz Morad and Muhammed Shihadeh, whose comments are frequently interrupted by the sound of gunfire in the background. What’s more, nearly all of the activists interviewed in the film have been forced to flee Syria. Even though they still actively support the pro-democracy movement, most now live in exile, primarily in Turkey. They are among the approximately 5 million refugees who have fled their homeland in search of safe haven outside their nation’s boundaries. As for Matar, an organized effort to destroy all records of his efforts – and even of his existence – has been implemented by Syrian officials to squelch any inspiration his memory might evoke. Even photographs of the activist are hard to come by these days. But, despite this purging and Matar’s tragic death, the ideas he inspired can’t be killed. The spirit of Little Gandhi lives on. This stirring profile of an enlightened visionary leaves quite an impression on the viewer. 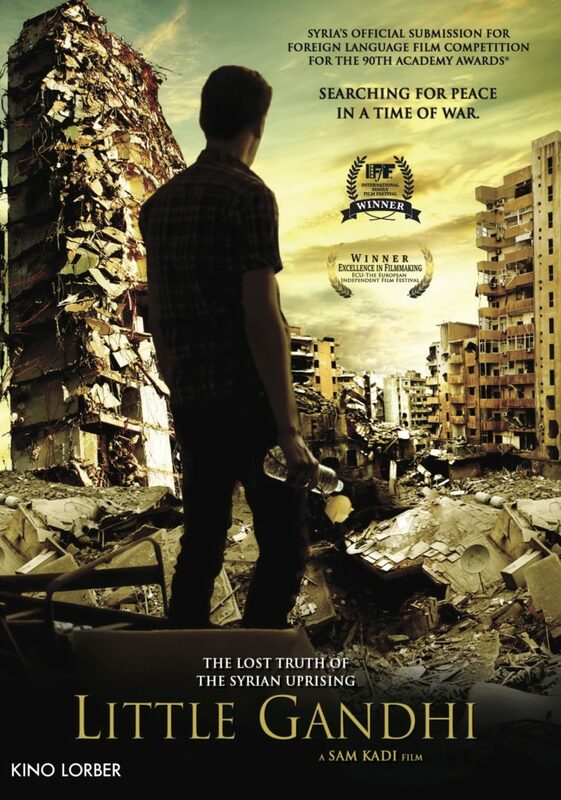 As Syria’s first-ever entry in the Academy Awards’ best foreign language film category, “Little Gandhi” presents a gripping collection of archive footage from the protests and the civil war, as well as enlightening interviews from activists, authorities and experts, most of whom witnessed the events firsthand. Director Sam Kadi has put together a fine tribute to its heroic subject, one that is sure to motivate those seeking to bring about change where it’s needed, no matter how daunting the conditions might be. The planet could use more individuals like Ghiath Matar, especially now, and not just in Syria. Let us hope there are impressionable initiates out there who are willing to follow in his footsteps to bring all of us what we crave – and deserve. Indeed, the time has come for all of the other Little Gandhis of the world to step forward and take their rightful place in destiny. What can we learn from our pets? Actually, quite a lot, as long as we’re paying attention. The trick, of course, is looking behind what they’re trying to show us, to see the real meaning behind their actions. But, if we do so, we might reap some tremendous benefits. So it is with a four-legged furry mentor in the charming new comedy, “Smuggling Hendrix” (web site, trailer). On the divided Mediterranean island of Cyprus, where combative Greek and Turkish factions have been living under a somewhat uneasy truce for more than four decades, life can be complicated, even when attempting to accomplish the simplest of tasks. That’s what a shaggy, unemployed musician, Yiannis (Adam Bousdoukos), discovers when his dog, Jimi (Pepper), goes astray. The scruffy pooch, named for legendary guitarist Jimi Hendrix, may be lovable, but he can also be quite mischievous. And, unfortunately, because of the island’s bureaucracy, regulations and long-simmering mistrust among residents, something as seemingly simple as retrieving a lost pet becomes an unbelievably complex, incredibly maddening experience. This situation is especially frustrating for Yiannis, given that he’s three days away from leaving the island to start a new life in Holland. He’s tired of things never working out, not to mention the daily hassles of living in Nicosia, the country’s divided capital city. So it goes without saying that he doesn’t need these kinds of annoyances as he attempts to wrap up his affairs before departing. So how does this situation come to pass? 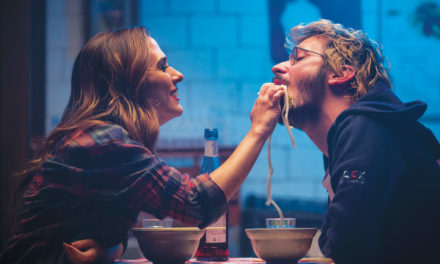 While running last-minute errands and walking Jimi, Yiannis unexpectedly encounters a number of people he’s trying to avoid – Kika (Vicky Papadopoulou), his ex-girlfriend with whom he had a difficult breakup; Pambos (Toni Dimitriou), a loan shark from whom he borrowed funds to make an unsuccessful album and who now wants to collect on his debt, backed by the support of his hired muscle, Antonis (Marios Stylianou); and his feisty landlady (Georgia Constantinou), to whom he owes five months’ back rent. He does his best to evade them, hiding out in an antique shop. But, while waiting things out, Jimi breaks free and escapes. The dog starts running the streets, fleeing from Nicosia’s Greek-controlled sector to the cordoned off Turkish territory. On the surface, Jimi’s little escapade may not seem like a big deal, but getting him back is, because traveling from one sector of the city to another isn’t especially easy. To move between territories, visitors must pass through two checkpoints, one staffed by national authorities and one manned by United Nations peacekeepers. Even though this process generally only requires showing one’s papers, there are other kinds of restrictions involved. Since the Greek-controlled territory of Cyprus belongs to the European Union, anyone returning to lands under EU auspices must abide by the Union’s restrictions. And, since the Turkish-controlled area of Nicosia is part of a self-proclaimed independent state that virtually no one officially recognizes (including EU member states), anyone returning to Union-governed territories must abide by the organization’s various entry protocols, some of which can be rather stringent, as Yiannis soon finds out for himself. Shaggy, unemployed musician Yiannis (Adam Bousdoukos, left) discovers the pettiness of bureaucratic regulations when he tries to bring his retrieved dog, Jimi (Pepper), across the border from Turkish-controlled territories to Greek-controlled lands on the divided island of Cyprus in the endearing new comedy, “Smuggling Hendrix.” Photo courtesy of The Match Factory. To retrieve Jimi, Yiannis crosses from the island’s Greek sector to the breakaway Turkish Republic of Northern Cyprus. And, miraculously, he finds his beloved canine surprisingly quickly. However, in attempting to return to his homeland, he’s told by authorities that he can’t bring the dog back over the border. Doing so would violate EU quarantine restrictions against the importation of potential biological health hazards from an unrecognized nation. Yiannis pleads his case, noting his impending departure from the island, but to no avail. So now what? Unwilling to abandon Jimi, Yiannis sets about devising a plan to smuggle his dog back into the Greek-controlled territory, but that proves easier said than done. Thanks to a series of additional incidents, Yiannis’s plans routinely go awry. Along the way, circumstances bring him into contact with Hasan (Fatih Al), a Turkish mechanic who reluctantly agrees to help arrange an expensive, clandestine cross-border passage for Jimi with the aid of a shady drug dealer, Tuberk (Özgur Karadeniz). When that doesn’t work out, Yiannis then seeks to make alternate arrangements that unwittingly draw him into the company of those he’s trying to avoid – Kika, Pambos, Antonis and his landlady, all of whom make his life even more difficult. And, of course, there’s Jimi, whose antics continue to frustrate his owner. Meanwhile, the clock is counting down to Yiannis’s scheduled departure. Will everything work out in time? To call this situation a comedy of errors would be an understatement. But, at the same time, it also draws attention to a number of more serious matters worthy of profound consideration. Most notably this is true where the island’s political situation is concerned. Cyprus is a divided nation, one saddled with self-imposed borders that keep its inhabitants apart from one another, each faction believing it has a right to its lands, rights of self-governance and so forth. Such a separation didn’t arise by osmosis, though; it was created, brought into being by those on each side of the barricades. Ironically, though, the Greek and Turkish residents depicted in the film each routinely insist upon the intrinsic brotherhood that binds them, that, in the end, they’re all members of the same human race. But, if that’s true, then why the borders? Why are the island’s artificial boundaries set up to keep these supposed brothers apart? Lurking behind the superficial proclamations of unity lies an innate mistrust that has spawned and continues to enforce this division. At the same time, though, everyone in the story seems to love Jimi. They all rightfully seem to be able to agree that affection for a pet transcends the social and political boundaries that separate individuals from one another. So, if everyone can agree on that where an animal is concerned, then why can’t they do the same when it comes to their outlooks toward their fellow man? Jimi helps to unite the humans where he’s concerned, setting an example for them to do the same with one another – provided they avail themselves of it. But, if that’s going to happen, then an attitude change is obviously in order, something that may not be as easy to achieve as one might hope. If the parties can’t agree on something as simple as the requirements for bringing a pet across the border, then what hope is there for the feuding factions to come together in peace and harmony? It’s by no means impossible, but the change must begin with the outlooks each side holds. One can only hope Jimi provides them with some inspiration to do so. For a suitable reconciliation to occur, for each faction to truly come together as the brothers they claim to be, they must join forces in cooperation. It’s a point the film drives home repeatedly where the Cypriot political situation is concerned, with Jimi serving as the catalyst for attempting to draw his divided human countrymen together. The misadventures they jointly share reveal the petty ridiculousness driving the circumstances that keep them apart, conditions that both separate man from dog and fellow man from fellow man. Indeed, if we’re all one big human family, this niggling estrangement seems pretty silly in the end – and, ironically, it takes man’s best friend to help show us the errors of our ways. In addition to the harmony Jimi’s actions promote, he also exemplifies the spirit of individual freedom. His escape embodies the exhilaration of being unleashed, allowed to run free, both literally and figuratively, to pursue what he wants. This is something most of us long to do but often feel we are unable to experience due to the many ties that bind us. Yiannis clearly wishes for this, for example, as evidenced by his desire to be free of the aggravations of life on Cyprus, not to mention his longing to break the chains that tie him to his past. If that’s to happen, though, he must believe in the possibility, an option that just might happen if he follows Jimi’s lead. Good luck to him and all those who desire to cut loose and run like the wind. This delightful tale about a scruffy pooch showing us the needless difficulty involved in bringing us together as a unified people is funny, touching and heartwarming. 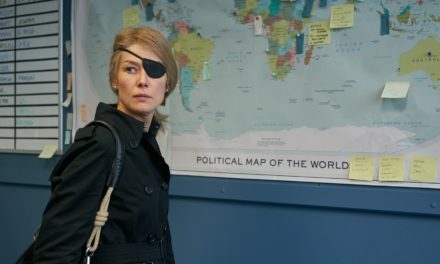 Though a little too political at times, the film nevertheless does an excellent job of explaining a contentious situation that hasn’t received much attention in quite some time, while simultaneously casting a bright light on the need to resolve a dispute that has gone on far too long. Most of all, though, the charm and whimsy that provide the basis of this story make for enjoyable and endearing viewing, showing the lengths some of us, thankfully, are willing to go to for something as elemental as protecting the welfare of our four-legged friends. If only we could do the same for those who walk upright. 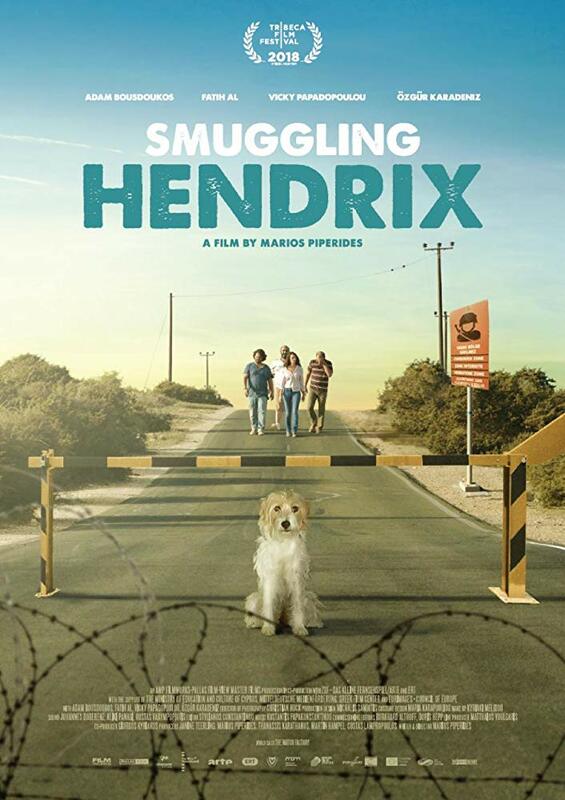 “Smuggling Hendrix” has primarily been playing the film festival circuit. Check the picture’s web site for further details. When our furry friends behave in line with our wishes, we reward them with treats. But who rewards us? Well, we can’t expect our four-legged pals to return the favor, but, if we follow their leads and the examples they set for us, maybe we can reward ourselves with morsels yummier than the best dog biscuits imaginable. And, when we see just how tasty those treats can be, that will really give us something to bark about.